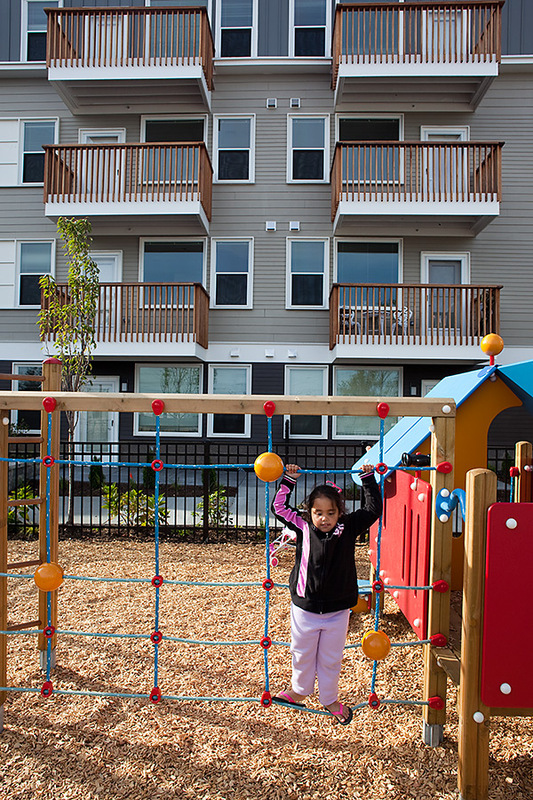 Spencer Green is a 48-unit affordable, sustainable rental housing project for The Neighborhood Developers that re-establishes the continuity of a residential neighborhood whose fabric has been fragmented by intermittent industrial and non-residential uses. Beyond simply reconstructing a consistent residential street wall, the development aspires to create a lively, green, healthy community in and of itself. 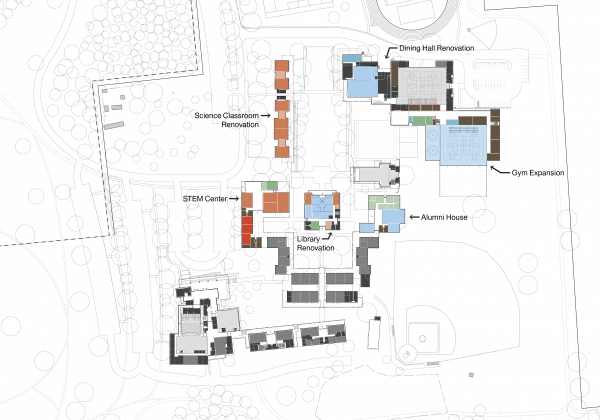 To that end, the main entry has been located prominently at the corner to serve as both the front door to the neighborhood and for the residents who may park at the rear. This strategy avoids the common front door–back door dichotomy, which can easily undermine the everyday personal interactions required for a vital social environment. 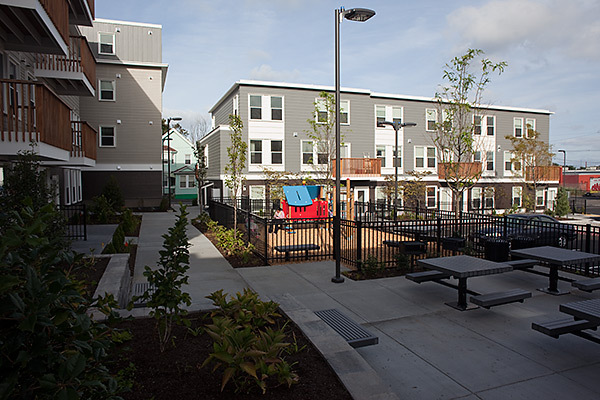 All of the common areas, including the community, laundry, and mail rooms are concentrated near the building entry to help maximize the social interaction between residents. 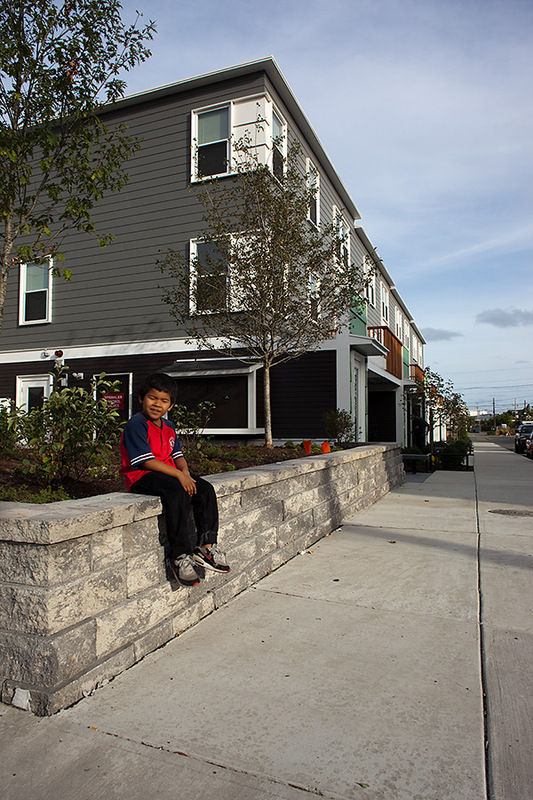 To enhance the notion of neighborhood development on a small scale, a variety of building and unit types are deployed. The main building along Spencer Avenue is a four-story elevator building with one- and two-bedroom units. 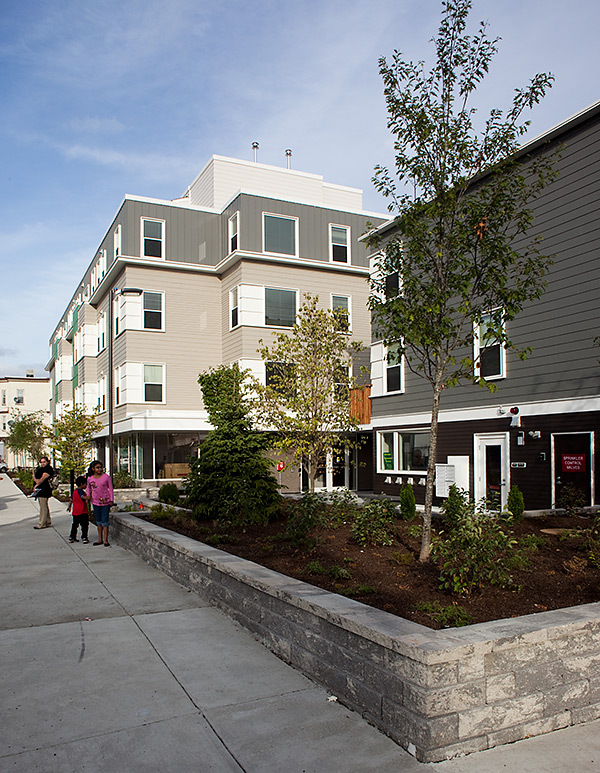 To activate the adjacent sidewalks, all ground-floor units have independent entries and front “yards.” The building types become three-story walk-ups at the side streets, which is more in keeping with smaller scale of those streets. These buildings consist of accessible flats at the ground floor and two-bedroom duplexes above. 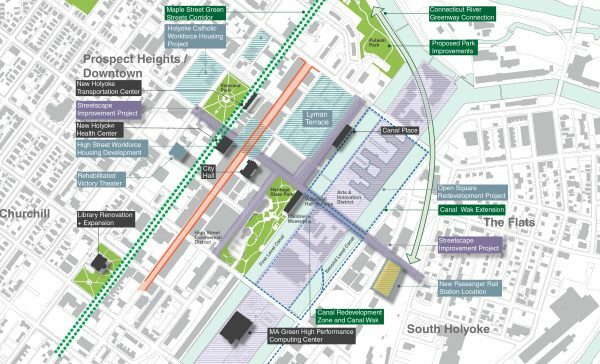 A continuous landscaped zone at the front and rear of these buildings provides a series of semi-private entry conditions that help domesticate the streets that share some industrial uses.